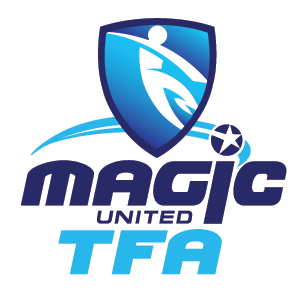 MAGIC United TFA offer the best $ for $ value in terms of player development. Magic United are a member of the Football Gold Coast association. Magic United offer professional coaching allowing players to reach their full potential. Magic United is open to all and offer professional coaching to players regardless of age, ability or gender. Teams in this age group work through our age appropriate program throughout the season. Sessions are designed to improve player’s technical, tactical, physical and psychological attributes. Teams focus on all key principles of an 11 a-side team. Sessions are delivered through the following: skills training, individual technical exercises, technical sessions, phases of play, functional practices, small sided games and games. Players have the option of 4 different packages to choose from. Includes 2 nights per week training with full time coach only. Game day is what everyone looks forward to. Please find a couple of key points to help the players out. Make sure players have a healthy breakfast before the game and take on plenty of fluids. Don’t overload the players with information you will only confuse them. Encourage all players as much as possible but leave the coaching to the coaches. Players will make mistakes don’t dwell on them after the game focus on the positives. Players may get asked to help out other teams once your game has finished. Please check Football Gold Coast website for player upcoming fixtures.